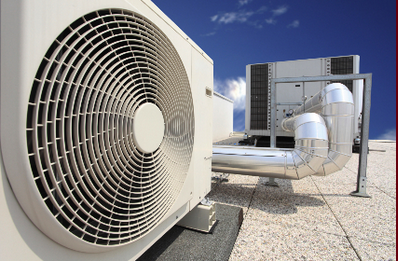 Service Contracts & Summer Emergencies | Controlled Air Inc. When the heat of the summer is at full blast remember that service contract customers receive priority service over customers with no contract. If you do not have a service contract you will be added to a list and we will get to you as soon as possible. We would also like to remind you to call us as soon as possible with any HVAC issues. The sooner you call us the sooner we can get there to make repairs. If you wait to see if the problem gets worse, what may have been a small problem at the beginning of the day could become much worse and more costly by the end of the day. If service is completed after normal business hours overtime is charged and obtaining necessary parts becomes more difficult. It’s more efficient for us and ultimately better service for you if we are able coordinate our technicians earlier in the day. Of course, we always have a technician on duty for those true after hours emergencies. A Planned Maintenance which provides all of the preventive maintenance needed for your HVAC and temperature control equipment. Repairs are billed on a time and material basis. Customers who select this type of contract are given priority response when emergency service is requested and are billed at a discounted time and materials rate. Labor Maintenance Agreement you receive the same benefits included in the Planned Maintenance Contract as well as any labor needed to make repairs. Parts are billed at a discounted materials rate. A Full Maintenance Contract includes all of the benefits in the Planned Maintenance Contract and Labor Maintenance Agreement as well as any materials needed for repairs. In short, everything is included. There are no additional fees for repairs or emergencies.